Your home daycare setup is the key to success. Environment is a huge part of behavior with kids. Find inspiration and examples here. Do you wonder how the best way to set up your daycare space is? Are you afraid of raising rates in family childcare, but need to make more money to make ends meet? What are you afraid of? Do you think your daycare parents will be mad at you? Are you worried your childcare services aren’t worth it? Do you think your clients will all quit? Are you an Oklahoma childcare provider who needs help navigating all this paperwork? There are always a million forms and where in the heck they are is the question of the day. This post is for you! Hopefully, everything you need is here so you won’t have to search all over the place to find them. What do you think are must have items for home daycare? When I asked the question to a bunch of providers, I got a lot of interesting answers. Some providers said things like kids, art supplies, toys, books, songs, baby gates, reading glasses, cell phone, computer, sharpie markers, printer, copier, baby wipes, Lysol wipes, magic erasers, cheerios, bleach and things like that. Those are for sure must have items for home daycare. I mean, what would we be doing if we didn’t have kids. 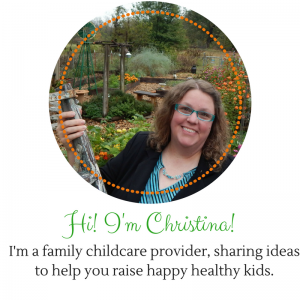 There are a few things that can make tax time a lot easier for a childcare provider. Childcare taxes are fairly complicated and involved, but you can do them with no problem if you have a few tools to help you along the way. Payment policies for childcare are super important. It’s even more important to set your payment policies BEFORE you need them. Find out more. You and everyone you are serving in your business needs to have a good idea of what to expect from the business relationship. You as the provider are in charge of this business and you are the one who can make it a success or a failure. Contracts and policies for childcare are important for your business. Without them, your business will be much harder to keep a handle on. This is one way people burn out in this business. You NEED a daycare contract. If you are having trouble establishing your paperwork for your business, read on and find out how to develop it in a systematic and simple way.